Happy 2013, folks! With a new year comes new plans and new goals, but we’re not quite done with 2012 — not without mentioning a couple of clients and projects that kept us busy ’til the drop of the ball. 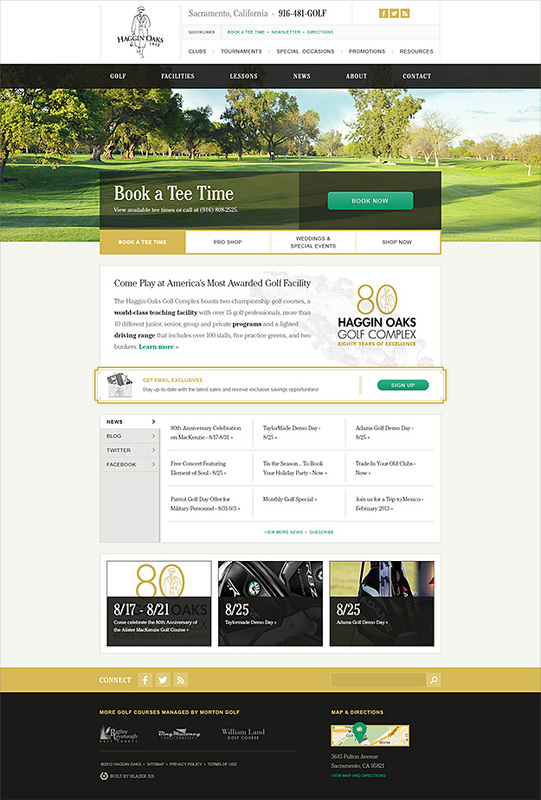 We began work with Morton Golf in August to redesign several sites for a family of golf properties in Sacramento, CA: Haggin Oaks, Bing Maloney, Bartley Cavanaugh, William Land. Our primary goals in the redesign included: migrate to WordPress to allow for easier management, improve integration of social media and various third-party resources, and simplify the navigation and site architecture. Whew. Rather than create original designs for each property, we built one theme and relied on colors and images as differentiators. It’s only been live a few days, but we hear the response has been enthusiastic. 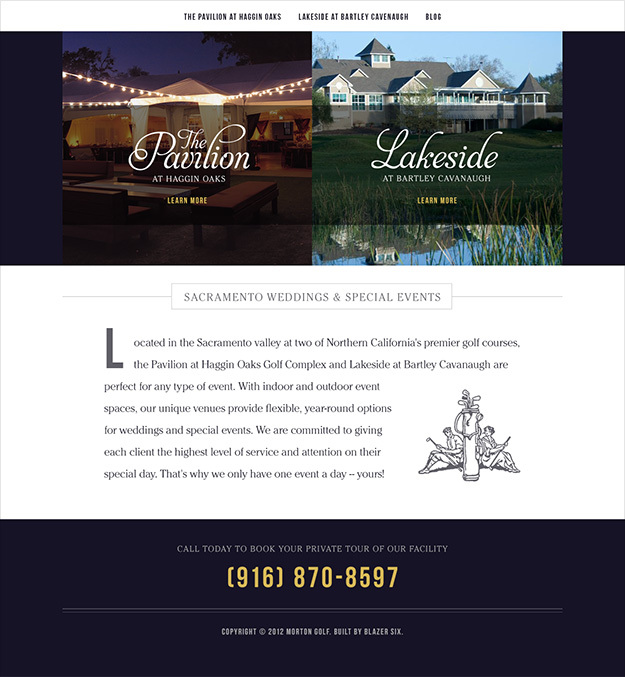 In addition, we provided a new microsite for their wedding business. For our last project of the year we built a responsive marketing site for BeerGram, a forthcoming iPhone app that’ll allow people to send each other beer. We’re excited about the potential. As far as I’m concerned, any project that allows us to animate beer bubbles is a good project. Thanks to WP Daily for highlighting the work we did for MyMovingChecklist, a web app we designed and built on WordPress. Better Internal Link Search is turning out to be the little plugin that could. The aspriations weren’t huge (make something less intuitive more intuitive), but it’s received quite a bit of love, including a spot on ManageWP’s list of the top 100 free plugins of the year (#100). Tom Ewer ranked it his second favorite of the year. We recently rewrote the plugin we use here on this site for embedding code snippets using Gists, with valuable contributions from the estimable Gary Jones. It’ll live on GitHub rather than the official plugin repository, but check it out if you want a different take on Gist embeds. It’s perfect for writing tutorials. Comment Hierarchy Adjust, a plugin bloggers with native threaded comments might find useful was released by Andrew Norcross with minor contributions from Brady. If the name isn’t clear enough, it allows you to easily change the parent of a comment so it appears in the correct thread. And lastly, Brady’s writeup on building a better image widget was included on the wpMail newsletter. I’d say we capped off 2012, our best year yet, in style. Already hard at work on our first project of the new year, 2013 ain’t lookin’ too shabby itself. That project, by the way, involves Batman and we feel the same about Batman as we do animated beer bubbles. Beyond that we’ve teamed up with a few cool dudes to build AudioTheme. More on that in the near future. Until then, watch your top knot.